Osaka Airport pick up for the extraordinary cherry blossom train! Such a nice experience for me to ride this ethnic train. 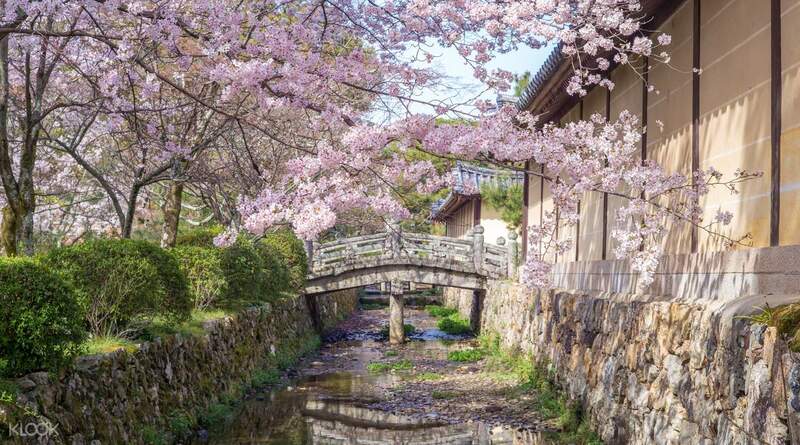 Beautiful landscape along Oi River, added with sakura in spring or momiji leaves in autumn. Easy to redeem at HIS Travel Kansai Airport near north arrival gate. 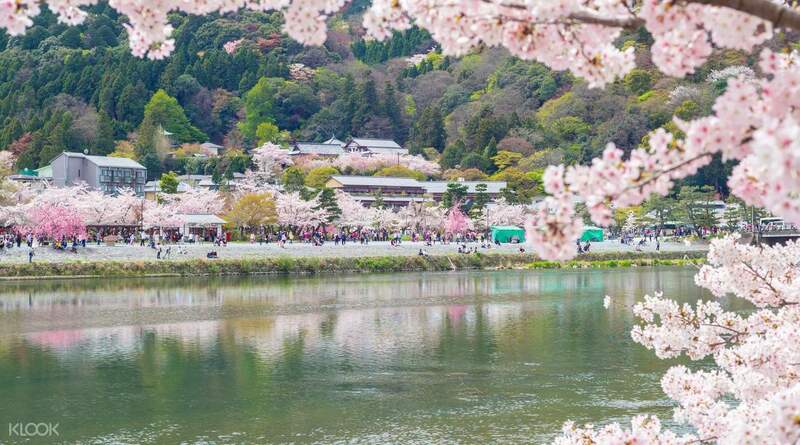 You can get the ticket right away so you've no worry for queueing at ticket booth at Torokko Kameoka Station or Torokko Saga Arashiyama Station. Redeem your voucher right upon arrival at Osaka International Airport. 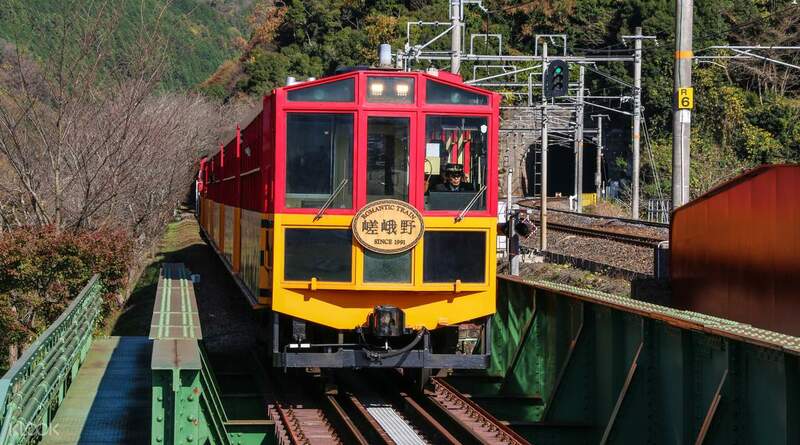 Your ticket will be valid for a one way trip from Kameoka Station to Saga Station in which you will be taken through one of the most scenic routes in Japan. During this 25 minute ride, expect to see a snowy wonderland in winter, cherry blossom trees in full bloom in spring, a landscape cloaked with rich red maple trees in fall, and luscious green panoramas in summer. With 3 departure time slots during the day, you will have the flexibility to schedule your trip to your liking. missed my original schedule.. i went to the train station which is just beside saga-arashiyama station. guys you must not miss this train esp when you're visiting during spring. it's such a vision. super worth it. and i'm glad i purchased another ticket. missed my original schedule.. i went to the train station which is just beside saga-arashiyama station. guys you must not miss this train esp when you're visiting during spring. it's such a vision. super worth it. and i'm glad i purchased another ticket. Enjoy a good natural view! The staff at the station are very enthusiastic! Enjoy a good natural view! The staff at the station are very enthusiastic! The best old school train ride with amazing river view. Value for money. Exchange klook voucher with physical tickets at HIS counter. The agent will book any time slot for you and you can't choose except the date. But you may go Saga Torokko Station to change any timing that you want (one time change only) as long you have physical ticket and applicable if the time slot still available. You will need go there and queue early for the changes. Lucky, I went there early, change my time slot and got "Rich Car" seat which is great. 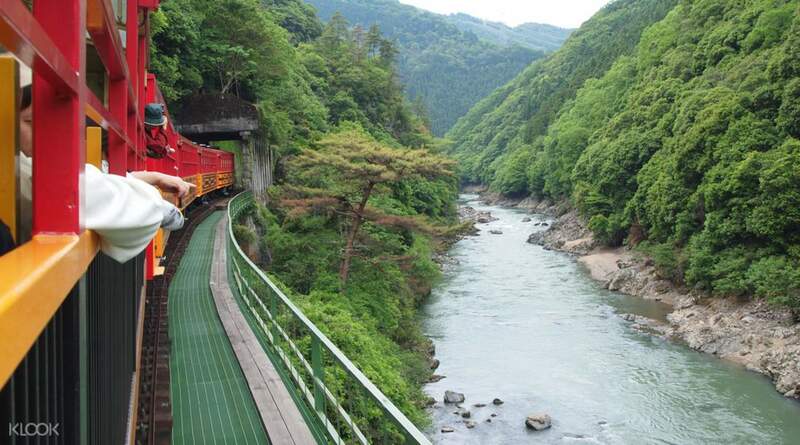 The best old school train ride with amazing river view. Value for money. Exchange klook voucher with physical tickets at HIS counter. The agent will book any time slot for you and you can't choose except the date. But you may go Saga Torokko Station to change any timing that you want (one time change only) as long you have physical ticket and applicable if the time slot still available. You will need go there and queue early for the changes. Lucky, I went there early, change my time slot and got "Rich Car" seat which is great. The train ride is nice but does not like that klook randomly provide the timeslot for you. Those people who have inflexible time schedule should avoid booking via klook unless the time slot you want can be confirm by klook. Just get tickets on spot. The train ride is nice but does not like that klook randomly provide the timeslot for you. Those people who have inflexible time schedule should avoid booking via klook unless the time slot you want can be confirm by klook. Just get tickets on spot. Super good experience! No need to queue and buy for the tickets on spot (which was sold out already when we got there), just go and redeem at airport (no queuing at all) and then on that day go to the train station and straight into the platform! Super good experience! No need to queue and buy for the tickets on spot (which was sold out already when we got there), just go and redeem at airport (no queuing at all) and then on that day go to the train station and straight into the platform! The view is astounishing! Greatly recommend to give this a try if you go to Kyoto! By the time I go (beginning of Nov)it's just begining of fall, so maple trees ain't that red yet, but it still worth every penny u spent^^ There's no time given for you to choose while you purchase this, but it's okay actually, as you can still make changes over the counter by showing this ticket to them (but only for 1 time exchange, still better than nothing). I communicate with them using my very broken Japanese plus some English and they can still get what I mean so I guess it's okay even if you have zero knowledge of Japanese language? The view is astounishing! Greatly recommend to give this a try if you go to Kyoto! By the time I go (beginning of Nov)it's just begining of fall, so maple trees ain't that red yet, but it still worth every penny u spent^^ There's no time given for you to choose while you purchase this, but it's okay actually, as you can still make changes over the counter by showing this ticket to them (but only for 1 time exchange, still better than nothing). I communicate with them using my very broken Japanese plus some English and they can still get what I mean so I guess it's okay even if you have zero knowledge of Japanese language? I can buy the tickets beforehand, with window seats preassigned. Pick up at the airport tool quite some time as the lady there kept looking for my ticket and couldn't find it at first. anyway i still enjoy the ride. I can buy the tickets beforehand, with window seats preassigned. Pick up at the airport tool quite some time as the lady there kept looking for my ticket and couldn't find it at first. anyway i still enjoy the ride. Q: Why is the ticket from Klook more expensive than the one on the official website? 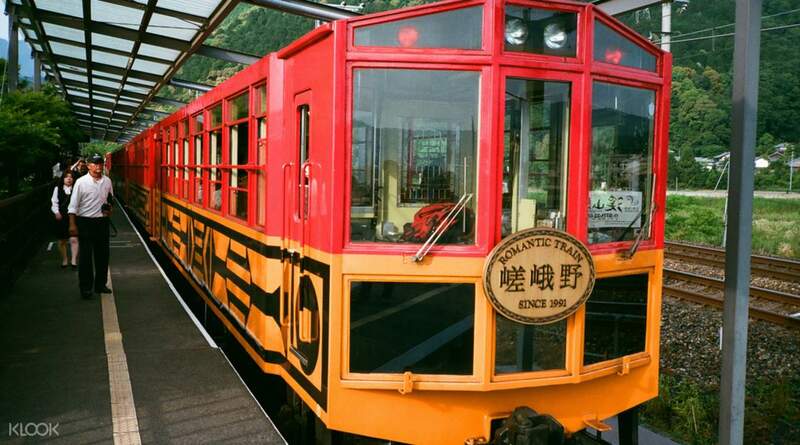 A: The availability of the tickets on the official website is limited as the train is a very popular tourist activity. Tickets purchased from Klook have guaranteed seats for customers. Q: If I want to take the train on November, how far in advance can I book my tickets?